WISE envisions a consortium of six partners representing four countries (Croatia, Finland, Italy and Poland) and ensuring a variety of cultural approaches, representing the balance between large and small EU Member States from Northern, Eastern, Southern and Mediterranean Europe. Such diversity allows the consortium to capture the various aspects of students’ welfare and their various cultural and traditional connotation stemming from diverse yet complementary attitudes and approaches to HE and students’ welfare throughout the EU. The quality of the Consortium is strengthened by the type of partners involved, each of them representing specifically relevant methods, skills and competencies in this domain and ensuring a sound and thorough approach for complete and reliable deliverables: the partnership represents public and private Higer Education Institutions as well as the Third Sector. The Consortium is led by Fondazione EDUCatt, which provides 40.000 students with Student Support Services every year. All partners are actively engaged in the domain of student support services either as implementing agencies, researchers, providers or market players/contributors to policy making. In this sense, the multidisciplinary nature of the Consortium adds value to the proposal for its inherent complementary competencies. All partners contribute actively to the activities and to the production of outputs and results. Tasks, efforts and budget are distributed evenly through the consortium to ensure an equal involvement aiming at realizing a true European project. The tasks are distributed in this way in order to balance the participation of the different partners and capitalize on their respective competencies. The consortium is defined so as to capitalize on the sectorial, geographical, thematic and technical diversity among partners, each of them bringing into the partnership a specialized perspective as well as solid and sound expertise, experience and knowledge. 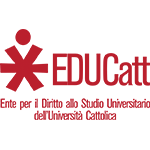 A non-profit Foundation of the Catholic University of the Sacred Heart that provides scholars with Student Support Services. EDUCatt pays serious attention to the centrality of the person, according to the teaching of Father Agostino Gemelli, the founder of the Catholic University. The aim of the Foundation is not only to provide services to students but also to guide them to their future in order to help them to create value with their work, competence and knowledge. The main goal is to provide services that match the real needs of students in order to give them focused and effective answers, keeping them up with technological development and innovation. The Student Support National Foundation has the aim of providing services for undergraduates enrolled in partner Universities. This institution was founded in 2011 with the purpose of analyzing, studying and supervising Student Support’s socio-economical dynamics in order to improve services provided to students. 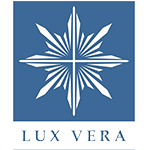 The Catholic University of Croatia (CUC) was established on June 3, 2006 by the Decree "Lux vera" signed in the name of the founder of the Archdiocese of Zagreb, Cardinal Josip Bozanic, Archbishop of Zagreb and Grand Chancellor of CUC. On July 3, 2008 the Croatian Catholic University has obtained the approval of The Ministry of Science, Education and Sports of the Republic of Croatia, in particular for the study programs of Psychology, Sociology and History. 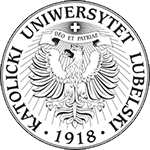 The John Paul II Catholic University of Lublin is the first university in Lublin and the oldest Catholic university in East-Central Europe. Nowadays, KUL is a one of the fastest developing universities in Poland. It offers academic courses for both Polish and foreign students. Highly qualified academic staff excel as teacher and researches in diverse domains of science. The graduates of KUL are widely appreciated by employers. A lot of our graduates hold prestigious positions in world-renowned institutions in Poland and abroad.KUL hires about 1,100 academic lecturers. Over 14,000 B.A., M.A., PhD students and nearly 600 foreign students study on fifty-three fields of study. Academic courses offered at KUL are conducted in Polish and English. Faculties at KUL: Theology, Law, Canon Law and Administration, Philosophy, Humanities, Social Sciences, Biotechnology and Environmental Sciences, Mathematics, IT and Landscape Architecture, Off-Campus Faculty of Law and Social Sciences in Stalowa Wola, College of Interdisciplinary Individual Studies in Humanities and Social Sciences. KUL is a member of numerous international organizations and associations. It cooperates with nearly 200 foreign universities carrying out joint scientific projects, organizing guest lectures and offering attractive student/employee exchange programmes. KUL is an active participant of the ERASMUS + programme within of which student and employee motilities are organized. KUL was an initiator of the Eastern-European University Network composed of universities form Ukraine, Belarus, Moldova, Georgia and Poland. 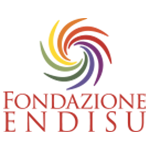 The aims of Eastern-European University Network are cooperation in the field of research and academic education, support of national minorities, organization of joint cultural and sport events. 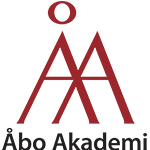 Åbo Akademi University is an internationally acknowledged Finnish research university providing education in Swedish. The activities cover research and education in most disciplines from the humanities, pedagogics and theology to social sciences, natural sciences and technology. 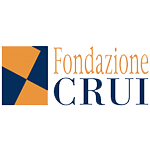 Established in 2001 by the Conference of Italian University Rectors – CRUI (association representing the State and non-State Italian Universities), the CRUI Foundation is a non-profit organization aiming at contributing to the development of the university system, through projects, studies, pilot actions and the organization of information events on issues relevant to the university system. With a network of 80 universities spread across 20 Italian regions, over the last few years the CRUI Foundation has been able to capture the growth opportunities of the system evolving from a strictly operational structure to a mature organization capable of building a strong network of relationships and become a bridge between the universities and the main national stakeholders.